My husband goes fishing every once in a while at “Big Lake” close to Lake Charles, LA and always comes home with an ice chest full of fish. My favorite are the speckled trout and redfish. 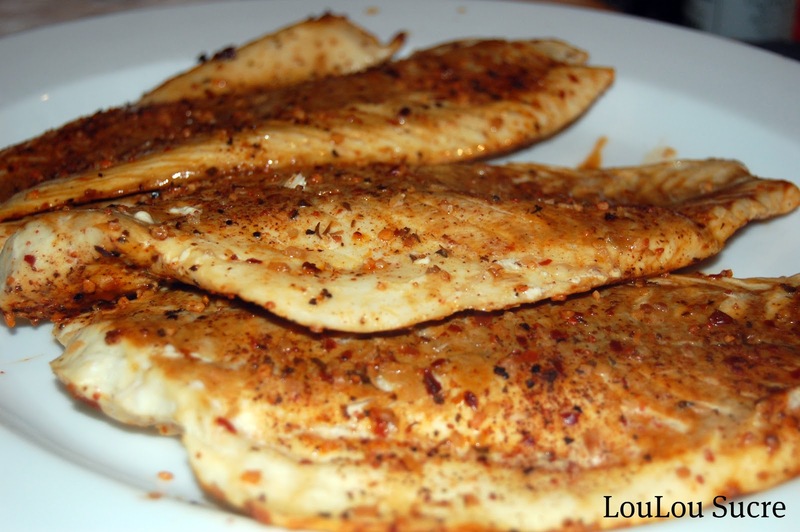 This recipe is for grilled redfish. Redfish has a little bit stronger taste than trout or grouper. I really like it with strong spices or blackened. Heat the grill to 400 degrees. Spray the fish with a small amount of olive oil spray and season the fish with a generous amount of the blackening seasoning (this will be very spicy, so season with caution). Place the fish on a large sheet of non-stick foil on the grill. Grill the fish for 8-10 minutes or until flaky. Remove from the grill and place on a large plate. Squeeze the lemon juice over the fish immediately. This grilled redfish is great with light, creamy sides such as risotto or pasta salad.